← Meet the Mascot — Blue’bear’ries! You guys, seriously. 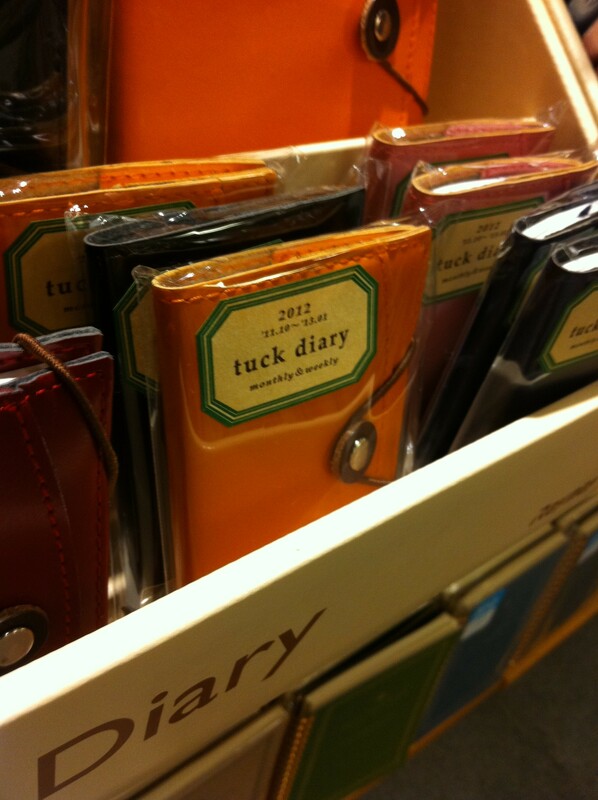 What is a tuck diary? What does that even mean? Is that a thing? Cause when we saw this in the store, that ‘t’ pretty much looked like an ‘f’. Um, yeah…. This entry was posted in Engrish and tagged engrish. Bookmark the permalink. 13 Responses to Happy Engrish Friday! Maybe because it’s, like…tucked into that leather? Or because it’s small and can be tucked into places? Those are my best guesses. I’m thinking you can tuck it in a pocket or purse and carry it around. The thing is, we know at least somebody in Japan knows about the English construction “pocket [noun]”, because just a couple of years ago there was a popular cartoon series with that for its title (albeit with both words abbreviated to their first two morae in typical Japanese fashion). Yeah, they’re definitely familiar with pockets–especially since in Japan, the series is still going strong, and they often refer/write it out fully as opposed to using the portmanteau! Perhaps it is a book that was designed by Friar Tuck? Or perhaps he’s the intended audience? I’ve gotta TUCKen get one of those!